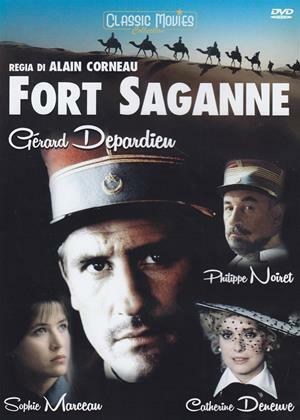 Gérard Depardieu, Philippe Noiret, Catherine Deneuve et al. French civilization in the desert. Saganne is of peasant stock, with courage and a forceful will. In 1911, he volunteers and is posted to the Sahara under the aristocratic Colonel Dubreuilh. He catches the eye of Madeline, the daughter of the regional administrator. In the desert, Saganne is a leader, with the respect of Arabs, including Amajan, an independent warrior. After resourceful campaigns, Saganne goes on a diplomatic mission to Paris, where he has an affair with a journalist. Back in Africa, he leads a gallant defense against Sultan Omar, is awarded the Grand Cross of the Legion of Honour, and marries Madeline. Then the Great War puts at risk his success and happiness.